Despite attempts by the British regime to silence dissident Simon Tomlin, he is continuing his publishing. An indefinite gagging order issued on 12 December 2014 has prevented Tomlin's investigative journalism addressing the thuggery and connivance of UK police and authorities. According to Tomlin's new blog the Dissident, which succeeds the censored Daily Agenda blog before it, authorities invented their case against him in order to silence the inconvenient truths he sought to report. Simon would like to welcome everyone to his new blog, aptly titled ‘The Dissident'; on 27 March 2015 at Nottingham Crown Court, barrister Adrian Langdale said Simon was now “a dissident” and after being inspired by the top-ranked lawyer, Simon found a new purpose to continue the battle after 5 months in prison for thought crimes. The battle for freedom of speech affects everyone in Britain and indeed across the world, so Simon has to finish the job he set out to do in April 2002 in The Sunday Times. This new blog will concentrate on current issues in the news and he will not shirk from embarrassing those who abuse positions of public trust. Misconduct in a public office is unacceptable and the masses must have a voice to represent them against the big battalions. Tomlin became a political prisoner for his dissident actions. 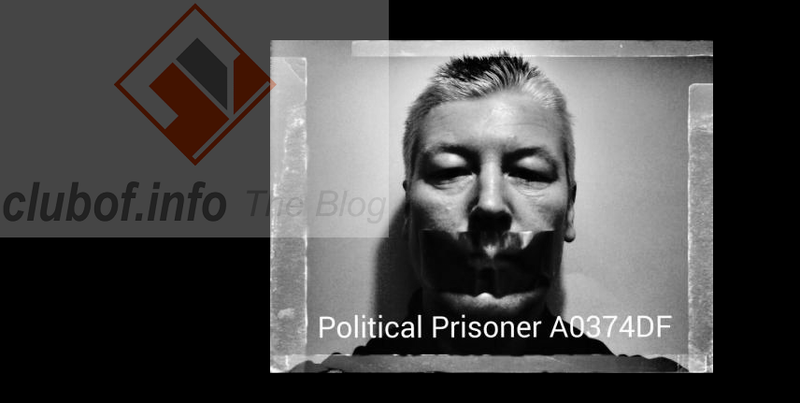 He was arrested and imprisoned for his political reporting, which authorities deemed to be threatening their hold on sensitive information, and so they attempted to silence him. Despite the attempts by UK authorities to portray Tomlin as a criminal, he is still favorably received in international dissident circles and his freedom of speech is still protected by civil liberties and human rights law in the interests of freedom of speech and conscience.